Applications for the Gambling Community Benefit Fund closing soon! Queensland community grants are assisting organisations in managing their upgrades and expenses. Are you a not-for-profit organisation wanting to manage some of your expenses? Stop pulling your hair out and stressing over finances now. Sign up to the GCBF and you can earn a grant up to $35,000 which can be put towards facility improvements! 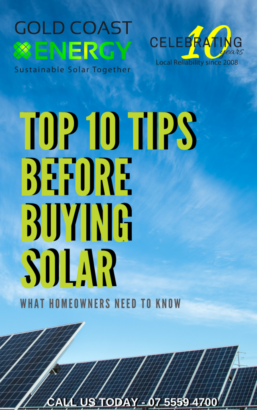 And this INCLUDES the costing to install a brand-new solar system on your building**. So take advantage of Queensland community grants and take the stress out of switching to solar. 2019 marks 25 years of the QLD Govt providing Queensland community grants. As a result, they are celebrating by offering even more opportunities through their Commemorative Grant project. If you feel your not-for-profit organisation needs grants of $100,000 or $250,000, click here to apply. 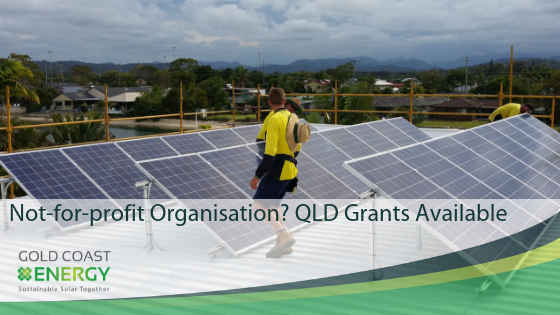 For most not-for-profits, the standard Queensland community grants of up to $35,000 should be enough to cover majority of the costing for a brand-new solar system on your facility (including battery storage options!). With storage options increasing (and the introduction of the sonnenBatterie), there’s never been a better time to switch to solar. Capitalise now as the price of systems decrease and the price of electricity increases! 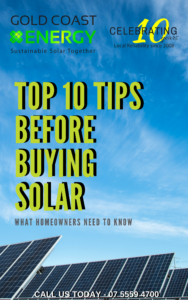 Start taking control of your electricity costs and enjoy energy independence with a high-quality solar system. If you would like to apply for the grant, please visit the Queensland Government website by clicking here. But ensure your organisation is eligible by reading the guidelines provided. Also successful applicants are welcomed to contact Gold Coast Energy by phone or email. As our team is more than happy to help your organisation gain energy independence through solar. Make sure you act quickly as Round 100 applications close at 11.59pm on February 2019. Thanks for reading, good luck and we hope to hear from you soon! **Strict criteria requirements apply for Queensland community grants. Ensure you read all requirements to be certain your organisation is eligible for this grant.